So Happy Together | Faddegon's Nursery, Inc.
Ahh the Turtles (the band – not the reptile). It was 1967 when they released the song ‘Happy Together’. Do you remember it? There are some combinations that are meant to be. Like Bob and I, 42 years together now. All of working lives making this garden center grow. 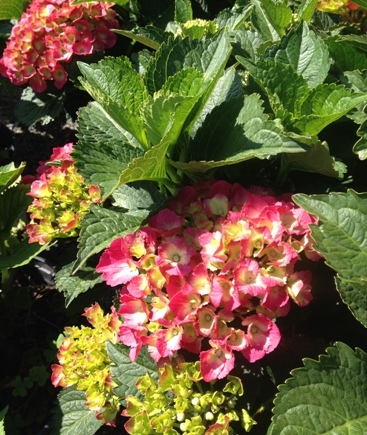 But that is a story for a different day – I am supposed to be talking about plant combinations! Need something easy – a recipe for garden success – a no brainer??? Here is a foolproof no excuses way to start! 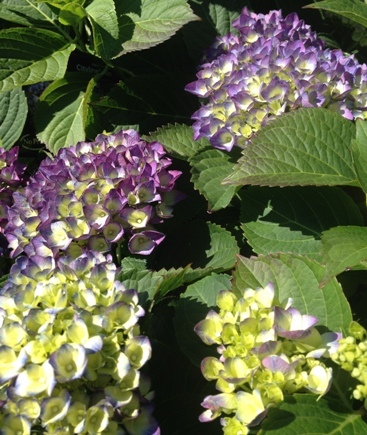 Pick a Hydrangea! There are small ones – tall ones – floppy ones – compact ones. The hard part is you have to pick. Pick a Garden Phlox as a companion! 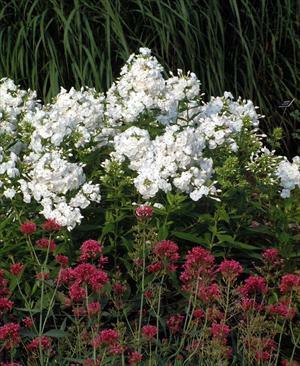 Phlox have always been considered the mainstay of cottage gardens. 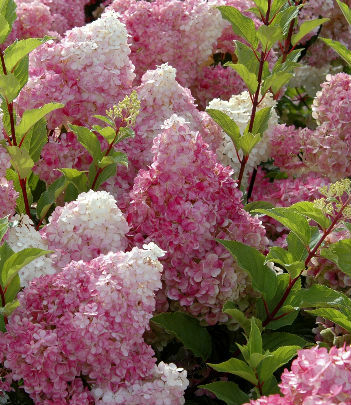 Their lovely mounded flowers and sweet fragrance never fail to draw smiles. Powdery mildew (white stuff on the leaves) used to be a frown-maker on these but thankfully many mildew-resistantvarieties are now available. Try ‘Pina Colada’ (both the Phlox and the drink). Pick a Sedum. 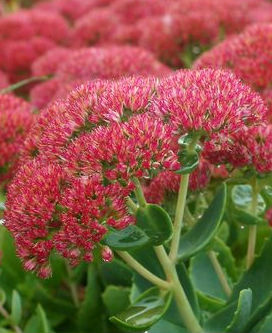 Sedums provide three seasons of interest between their colorful flowers and succulent foliage. There are upright Sedums, like ‘Autumn Joy’ (pictured), and prostrate, creeping ones such as ‘Dragon’s Blood’ and ‘Angelina’. Tah Dah! You did it. Tap your head – say ‘Good Job” and have a cocktail in the garden. You’ll be so happy together!